The Kenyan Ministry of Health, with assistance from the U.S. Centers for Disease Control and Prevention, is rolling out mUzima to support HIV care in the country. Meanwhile, at several clinics in western Kenya, chronic disease management teams already use the smartphone app. The word uzima is Swahili for life. Health workers in developing countries often find themselves in the countryside, visiting patients in isolated homes and villages. “For a long time the concept of electronic health record systems in developing countries involved use of desktop applications, with the health team typically working on paper and a data entry clerk retrospectively entering these data into the system. “This is rapidly changing with the increased use of point-of-care data systems. mUzima’s ability to work both online and offline allows for its use in settings with very limited infrastructure,” said Were, associate professor of Biomedical Informatics and Medicine. Were began developing the open-source application in 2012 as part of his research at Regenstrief Institute and Indiana University in Indianapolis. 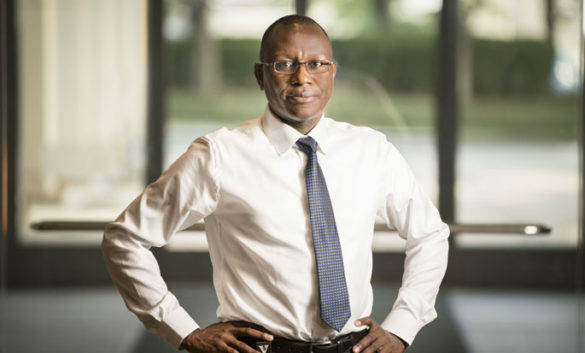 During the latter part of his tenure on the IU faculty, he also served as chief medical information officer of AMPATH, an international academic consortium working to improve health in Kenya. Were developed mUzima to be seamlessly interoperable with an open-source electronic health record system called OpenMRS, which is being rolled out nationwide in several developing countries, including Kenya and Mozambique. Easily adaptable to serving different medical specialties, mUzima runs on Android, Google’s smartphone operating system. The app allows users to review patient data and collect new data, and provides robust security, clinical decision support, tele-consultation and patient teaching features. Were’s team is currently working on a sister application to allow patients with smartphones to have their own mobile personal health records, tethered to their electronic medical records. “The personal health record approach promises to challenge and inform the paradigms of clinical data ownership and management in developing countries,” Were said. Were is from Kenya and has strong professional ties there. He leads a collaborative health informatics training effort among universities in Norway, Kenya and Uganda called HI-TRAIN (Health Informatics Training and Research in East Africa for Improved Health Care). He’s also the founding director of the Institute of Biomedical Informatics at Kenya’s Moi University. Were’s undergraduate and medical degrees are from Harvard University and his master’s in clinical research is from IU. He joined Vanderbilt last year, bringing new opportunities for the University’s trainees to conduct global health informatics research. “I’m very glad to be part of one of the most dynamic biomedical informatics departments in the country. The range of expertise in development, training, analytics and research here at Vanderbilt makes for a very rich environment for collaboration. I look forward to working with colleagues here to extend our global reach in biomedical informatics. “In fact, the lessons we learn globally will likely also be highly relevant locally,” he said. Were is also a core member of the Vanderbilt Institute for Global Health. He currently devotes one-quarter of his effort to informatics programs in Africa.